Global fast-food chain Burger King takes a self-deprecating look back at the period between 1997 and 2012 when it pulled out of France due to poor sales in a mockumentary titled 'Whopper Blackout'. 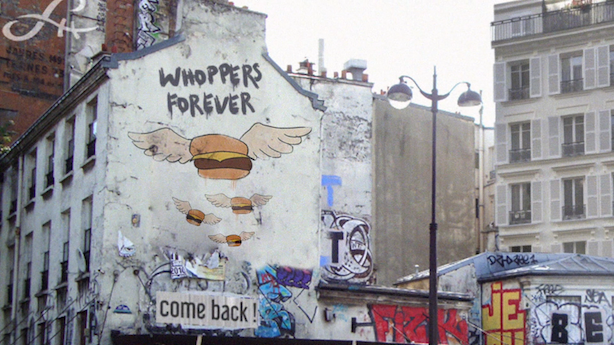 Created by ad agency Buzzman, which is also promoting the seven-minute film to media, it interviews people affected by Burger King's 15-year absence from France. The footage includes interviews with a girl who was named 'Whopper' because her parents met at Burger King, a self-proclaimed 'Whopper addict' and even a flight attendant who smuggled Whoppers from London to Paris. The campaign aims to raise the profile of Burger King ahead of an expansion across France, which will see 500 of the French-based Quick's hamburger restaurants rebranded as Burger King outlets.